This distinctive wall light would add the perfect finishing touch to any chic decor. It combines shades of both contemporary and retro style. 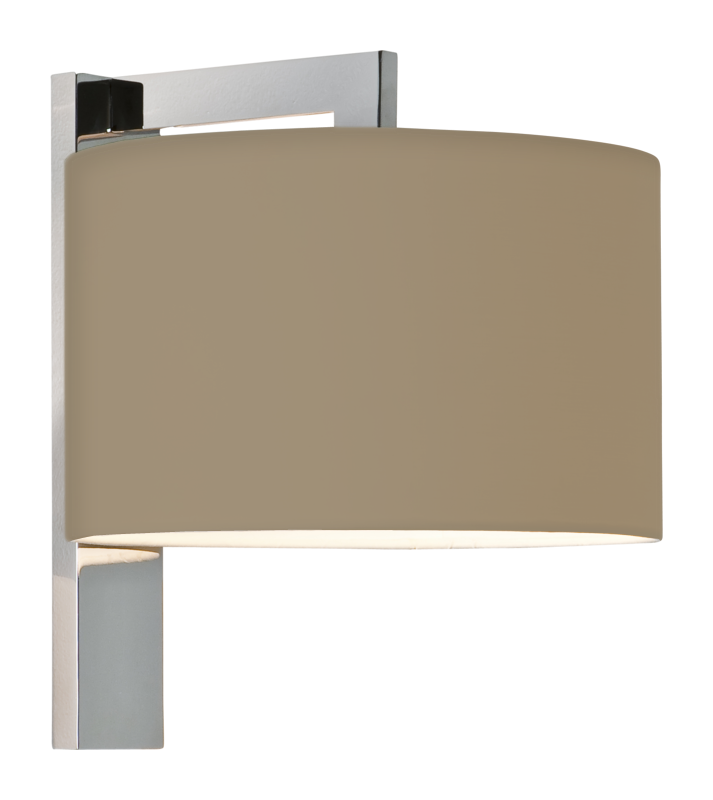 With an angular yet graceful polished chrome frame and a soft fabric oyster shade it will enhance any living area. The product is dimmable and the shade contains a removable acrylic diffuser which gives you control over the amount of light for any given occasion. It is also switchable and would greatly enhance any living area either domestic or commercial.